You guys seemed to enjoy me bringing back Five on Friday, and honestly, it's one of my favorites to write. I am completely heartbroken that Carson is going to kindergarten in a few short weeks. I know that sounded a little dramatic, but really, I am sad. I know I should be excited and happy for him, but I am going to miss him like crazy. Carson has the most tender heart of any child I know and I swear I am not just saying that because he's mine. He's my little helper, my sidekick, and one of my best buddies. And don't get me started on how much Taylor will miss him. That girl loves her 'bubba' and they do everything together. I feel like he's just too little to be gone all day long and away from his mama. Why is time moving so fast? These pictures literally feel like yesterday to me. And now I am crying, next subject please. Todd and I have decided we want to take one more little weekend trip away with the kids. We can't figure out where to go? Any suggestions for kid friendly places that aren't 5 hours away? We loved The Andell Inn so much we may just go out there again. I know it seems silly to drive up the rode 20 minutes and spend money staying in a hotel, but you feel like you are miles away, and it's so beautiful there. Plus, that bed, it was heavenly! My girl Sidney who owns Eclectic in Mt. Pleasant is the real deal! We had the best time there last week at the blogger meet and greet! Met so many amazing ladies, and found about 50 more things that I want for our house. It was a good night! 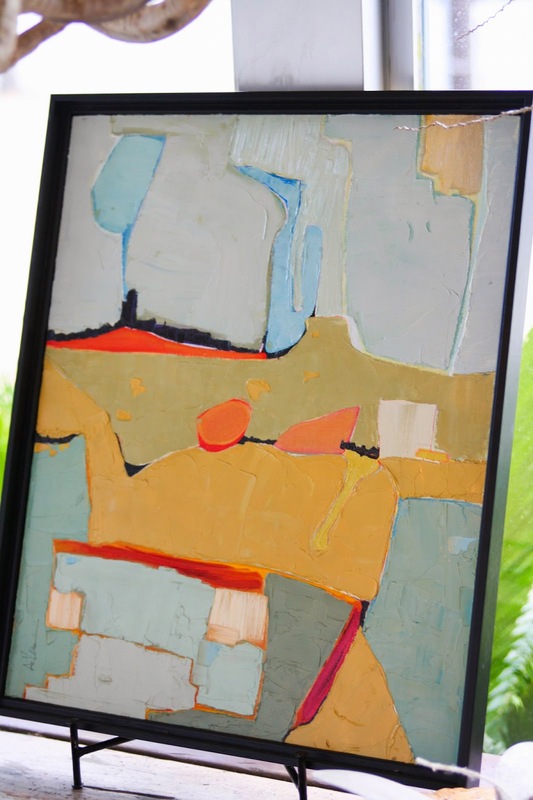 This art is number one on my list! With this chair coming in at a close second! And pretty much everything on this shelf. You all know that I am 100% a romper lover, but I have yet to hop on the jumpsuit bandwagon. I want to badly, but I am afraid that I will look like a total goof in one. I have had my eye on these two for a little while now. I am more drawn to the teal color, but something tells me to start out slow and go with the black first. What are your though on this? Yay or nay? 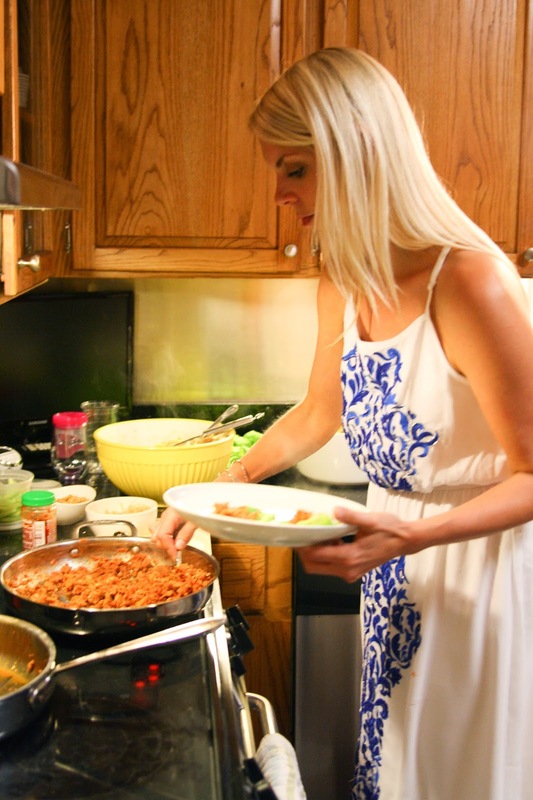 We had ladies supper club Wednesday night at Natalie's house. No surprise, it was some of the best food I have ever eaten. My girl does no wrong in the kitchen! 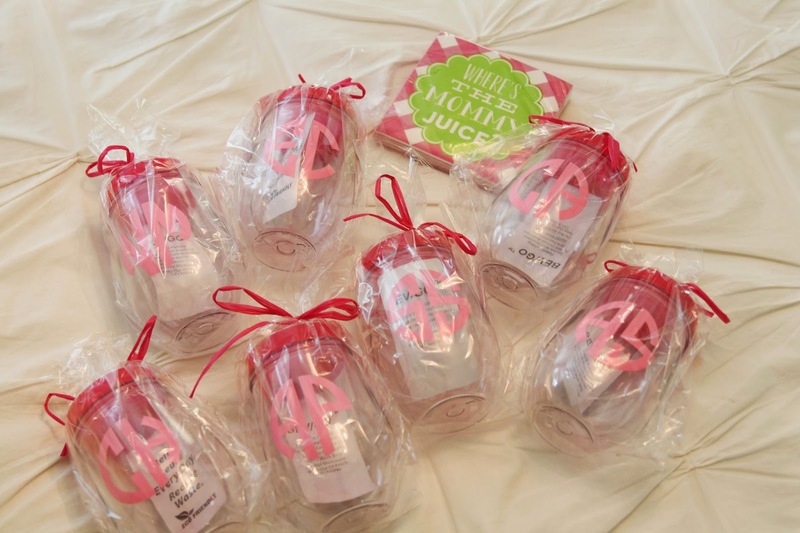 I also surprised them all with my favorite adult sippy cups! These things are the best invention ever!! I take it everywhere with me. And if you love a monogram as much as I do then you will love this website, it's like monogram heaven over there. Plus, the quality and customer service is some of the best I've ever seen. Brooke you rock girl! Words can't describe the love I have for these girls and I feel so blessed to have them in my life. Loved your post. I'm so sad about Wheeler being gone all day too. The dynamic will be so different here in the afternoons. :( Good luck getting through it!! Love our sippy cups! Thank you so much! and I would be so sad when Sterling goes next year!! We can have a fun lunch out to help you get your mind off it. 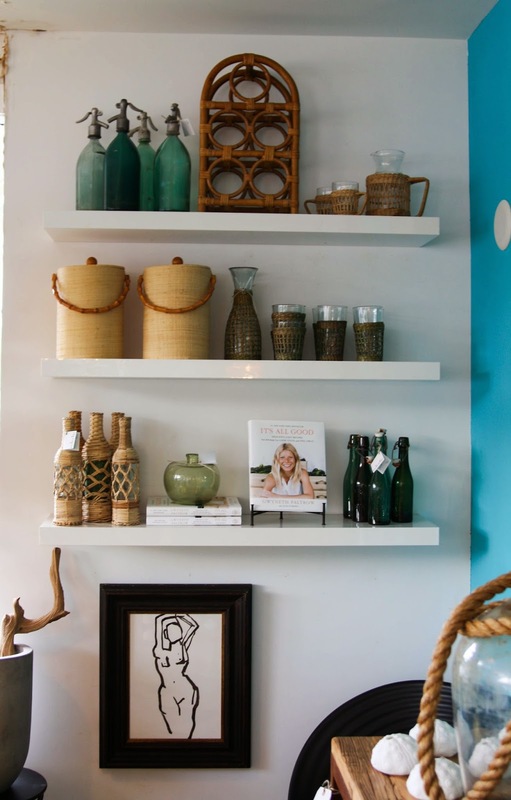 I love these posts :) I say jump in head first with the teal jumpsuit! It would so so pretty with your coloration! The teal jumpsuit would look fabulous on you!! The bow rocks! A definite buy!! What's the Andell's beach access like? Would love to sneak away for an anniversary weekend! It's located in Freshfeild Village so we just the public beach access at Kiawah.It's about 5 min away! You should def. sneak away and go here, it's amazing!!! 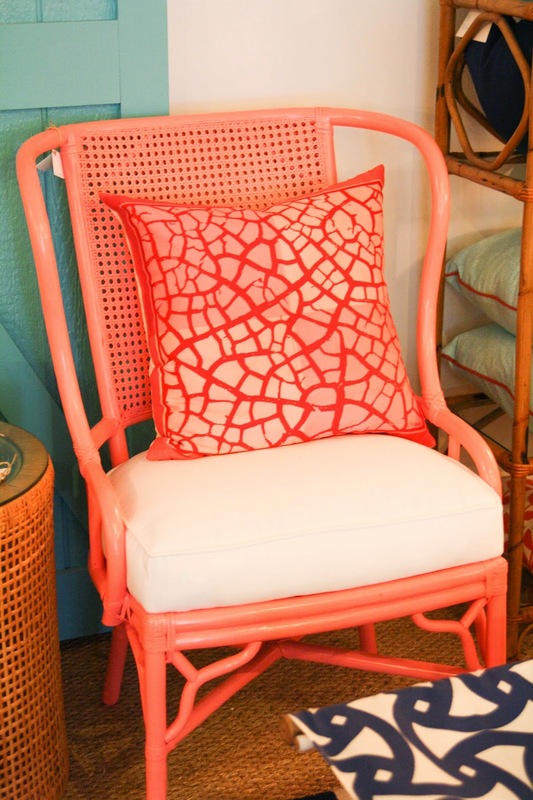 Love that coral chair! 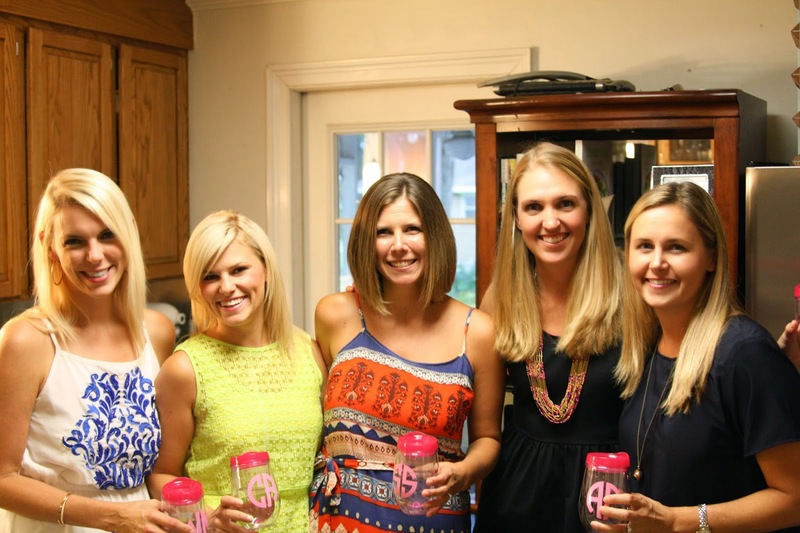 Those adult sippy cups are the cutest things ever - looks like y'all had such a fun night!! Beautiful ladies!! And I think you should def go for the jumpsuit! I need that zippy cup pronto! And I think you guys and the kids would love the Amelia Island Plantation/OMNI hotel. It's absolutely beautiful, tons of kids activities (camp Amelia, nature center, pirate play ground, golf cart rentals with amazing trails, fishing ponds, etc.) and beautiful pools and beach + wonderful on-site restaurants for every meal, ice cream, etc. And I think there are great deals going on in August since it's back to school for the south and quieter down there now. Let me know if you do go and I'll hook you up with recommendations for downtown restaurants if you venture off the plantation! Caycee!! Thank you SO much for the adorable feature! I'm thrilled that you and your friends are enjoying the sippy cups- I'm slightly obsessed with them! I know what you mean about your sweet boy... mine is turning FOURTEEN next week! He is "bubba" to our girls too-love it! Julia~thank you for the lovely words, sweet girl! When I met you, I didn't even know what a blog was! Thank you for the introduction to my coffee/blog fix and all of your amazing SC friends!! Love the teal jumpsuit. I think you should go for it!! That's awesome that you live near Natalie! How fun!! !